Where do I get MMEffects? MME and MMEffects are two names for the same thing. Where can I Download MME v037 in English? I need 64-bit MME! Download MMEffects from LearnMMD.com’s Downloads Page! LearnMMD MME Tutorials. How do I install MME in MikuMikuDance 8.03? MMD 8.03? When you download MME v037 in English, a whole new world will open-up for your MMD enjoyment! The zip folder contains instructions in English for installing the MME files. It is easy! You simply drag and drop the three new DLL files into the main MMD folder where you keep mikumikudance.exe … Download MME Now! Do you have the DirectX 9.0c installed? Maybe unzip the MME folder using Bandizip. The way to set-up MME is to simply drop those three DLL files into the MMD folder… it’s a no-brainer… I cannot imagine why it does not work for you, unless the files didn’t extract properly. I bought a new computer and tried installing MMD and MME. I checked my computer was 64-bit, so that was what I installed. There was an error when I tried opening MMD. It was an MME Error: “Initialize Error: failed to load default effect file. Please check video card capability.”. I have the DirectX (June 2010) installed, which I believe is newer than 9.0c. I checked the graphics card and it was a dedicated graphics card. I’m not sure what to do next. Can I have help please? For MMD, you do *not* need a “higher than” version of DirectX. You need files that are *in* 9.0c. Just install it. Nevermind. I found my issue. I didn’t install the DirectX file correctly. It works now. I have 64 and 32 bit MMD and wanted to put effect on 32 … in the 64 bit version appears in the corner written MME but already in 32 bits not what I do? I see that you have SOME sort of problem, but I honestly can’t understand what. If you use both 64 and 32 bit versions of MMD, you need ALL FOUR versions of Visual C++ redistributables listed in the Downloads page. It is important to put 64-bit version of MME dlls into the folder of 64-bit MMD, and 32-bit into 32-bit – don’t mix them! Huh? … Loaf .fx files? … LOAD .fx files? … Use that LOAD button on the lower right to load .x accessories and the .x MME effects files. You cannot load a .fx file from there. To load the .fx files, you need to click the MME in the top-right of the MMD screen, select a model or accessory from the list, there… choose the Set Effect button… and navigate your way to the .fx file you want to use. I’ve follow the instruction properly, extract the file from Applocale/7-zip and copy three files in the same folder as MMD but why i still can’t see ‘MME’ icon in my MMD? Please help me. Did you install all the necessary software? Minori… If you drag the three DLL files out of their folder and drop them, just loose, into your MMD folder… it should work. So uhhh i have all of the the mme things in the mmd folder but mme doesn’t frikin show up. What do i do??!! Do you have DirectX 9.0c runtime installed? See the Troubleshooting page for detailed instructions. Initialize error: failed to load default effect file. Please check video card capability. Did you download 64-bit MME as well? What is your video card? If it’s some office-grade lowend or Intel HD Graphics, you may simply not have capabilities to run MMD. Still, you may try to update your graphic drivers to the latest version and see if it helps. I have the same problem as well but what is the min graphic required to run mme ?My mmd runs no problem for me but when I try to install me the same message pops up? 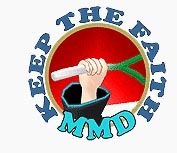 There’s no fixed requirements set for MMD. You *do* need a dedicated graphic card, preferably with newest drivers, but beyond that, it’s hit or miss. Check if you have DirectX 9.0c installed, maybe that’s the problem.